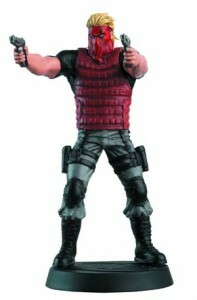 Another Grifter statue coming from Eaglemoss! Grifter is getting twice the sculpted love this year. We previously announced a Grifter bust coming in August. Now Eaglemoss is releasing a Grifter statue that gives us a full view of the Daemonite hunter himself! No word yet on how much it’ll retail for or when it’ll release but we’ll keep you guys updated. This entry was posted in News and tagged eaglemoss, grifter, statue. Bookmark the permalink.